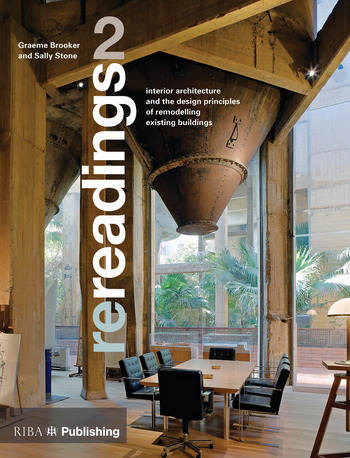 Re-readings 2 is a companion book to Re-readings, originally published in 2004. This second volume is testament to the growing interest and demand for clarification of the re-modelling, adaptation and transformation processes within the existing built environment. With increased interest in the sustainability and heritage agenda and emerging interest from non-European-centric areas of the world in this type of work, this book explores how the re-modelling of existing buildings is a sustainable and viable alternative to the construction of new buildings. Throughout this highly-illustrated book, drawings and photos of various projects from around the world highlight how the new fits into the existing. Case studies are analysed holistically, and include information on the practical issues and challenges of individual projects. Graeme Brooker is an academic and writer based in the UK. He is the Head of Interior Design at the Royal College of Art and has taught interiors in many Universities in the UK; most notably Cardiff, Brighton, Manchester and the University of Westminster. He is the founder and now Director of the charity I.E. (Interior Educators), the national subject association for interiors in the UK.